Filina and Silvio were married on January 5th, 1963. Their children wanted to mark the year of their golden wedding anniversary with a surprise gift. This album was probably one of the most important albums we have ever had the pleasure to produce. We used all the original images that were shot 50 years ago and the original stationary. 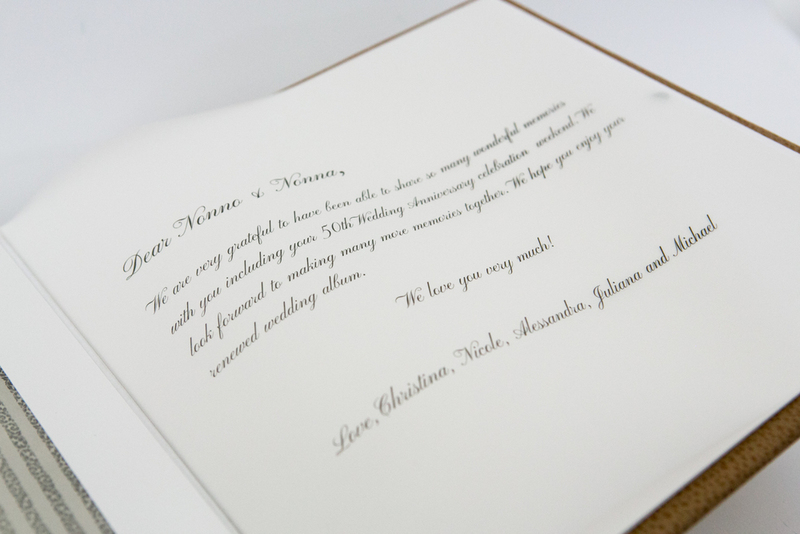 We recreated their wedding album to ensure their family can cherish these special moments for another 50 years. 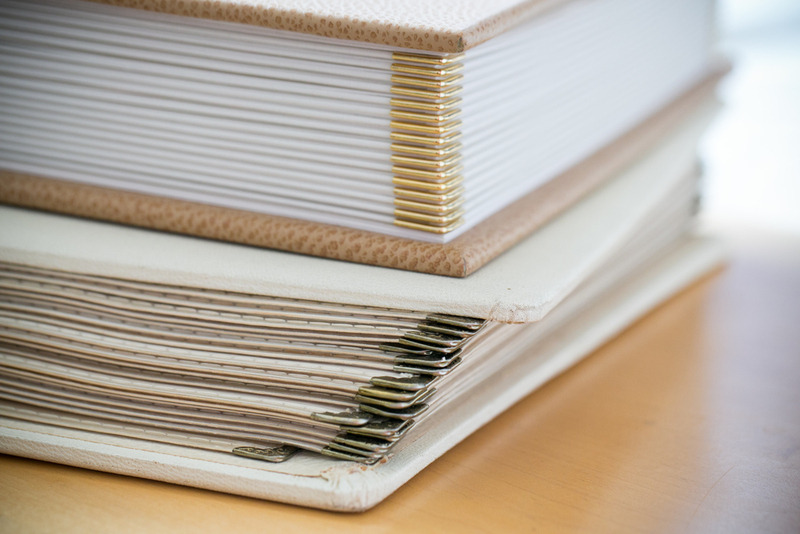 Popular accents like protected corners and gold embossing was the perfect choice to fabricate the old album but enhance the new with a fresh, contemporary look. Just in case there weren’t enough sentimental tears being shed… the children and grandchildren closed the album with a beautiful note thanking Silvio and Filina for all their love and support. Whether it has been one year or fifty years, reflecting upon these memories is one of the most cherished parts of celebrating an anniversary. Thank you Diana and family for allowing us to share these memories. Older PostSpring Open Studio - 10% discount!